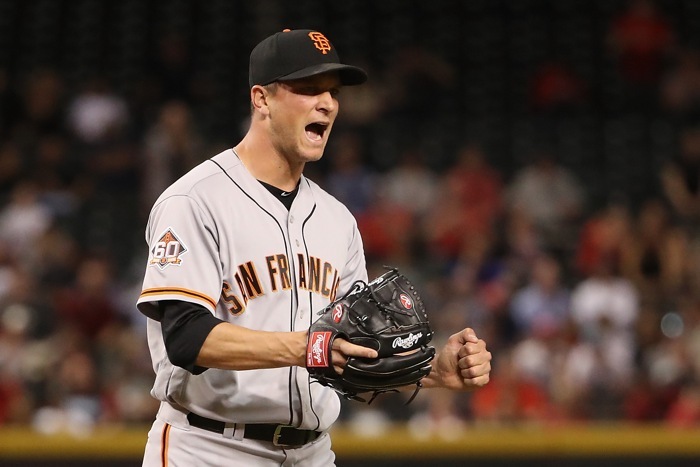 Cubs Now Looking to Make Additions – Reliever Like Tony Watson? 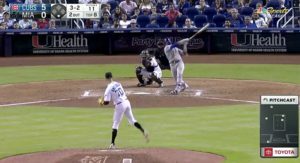 Catcher Like John Ryan Murphy? Center Field? 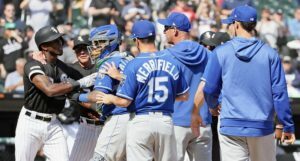 I shouldn’t be too sarcastic up front, because it was always going to be the case that the final week before the open of the season would present unique opportunities to make reasonably-priced additions to the roster. I just get a little chippy thinking about the Cubs wanting to add – for example – to the bullpen and to the catching rotation now, when those were always needs from the outset of the offseason. Now, you’re left to the whims of who becomes available. 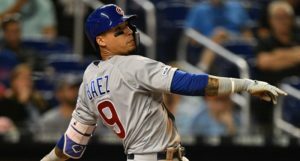 With the decision to send Ian Happ to AAA Iowa to start the season, the Cubs have an opening in their outfield group if they can find a guy who plays quality center field to add to the mix. Otherwise, they’d be just as well served, in my view, seeing if Mark Zagunis is ready to be a bench corner outfielder in the big leagues. It’s hard to see a perfect fourth outfielder coming available right now for cheap, but we’ll see what materializes. Even if it’s Zagunis for the bench, it’s not as if the Cubs have no other options in center field besides Albert Almora if you wanted to give him a blow against a tough righty – Jason Heyward can play center field. Meanwhile, the Cubs are also still looking at veteran back-up catchers, as we’ve been talking about for a good long while now. Cubs still looking for backup catching help . They have made that a minor priority since last fall . The Red Sox are shopping Sandy Leon, who feels like a pretty great fit to me, and Sahadev Sharma mentions Diamondbacks third wheel John Ryan Murphy as another attractive option. He’s another great defense/framer type with a very limited bat. The difference with Murphy is that he costs under a million bucks, and isn’t yet 28. Like Leon, he’s out of options, and probably behind two other catchers who aren’t going anywhere (Alex Avila and Carson Kelly). 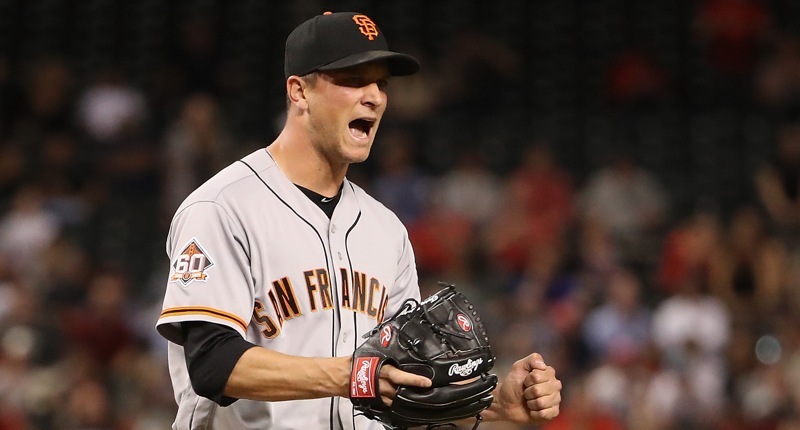 On the bullpen side of things, Mark Gonzales mentions the possibility that the Cubs could try to save money elsewhere in order to bring in lefty Tony Watson from the Giants, which is awfully specific, but I won’t get too excited about that until/unless there’s more smoke. Still, he’s obviously a very attractive target if the Cubs can afford it. Watson, 33, is making $3.5 million this year, and comes with a $2.5 million option ($500K buyout) for 2020. After a couple elite years with the Pirates in 2014 and 2015, Watson was down in 2016 and 2017 before bouncing back in a big way last year with the Giants: 2.59 ERA, 2.45 FIP, 66.0 innings, 27.6% K rate, 5.4% BB rate. That would, uh, certainly be welcome in the Cubs bullpen. Erik Kratz is out of options, by the way. Giants must make a corresponding 40-man move. And of course they need more 40-man space when they purchase contracts of Parra, Solarte and Vincent. More dealing’s gonna happen. To be sure, the Giants wouldn’t move a valuable relief asset just because they have a roster crunch (created by adding a veteran back-up catcher). But if some deals were already being discussed, then maybe you just work it all out at once.